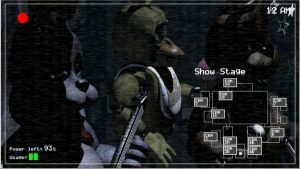 Do you recall when you first came across Five Nights at Freddy’s? I first saw it as a Let’s Play by a YouTuber called Markiplier. Which might have been a commonality for a lot of people who are now long-time fans of the franchise. 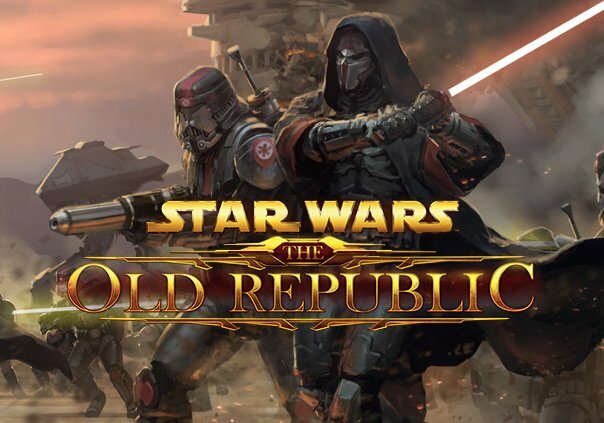 And, now, years later, I wanted to go back over the game and talk about when it was fresh and new. Before the endless sequels and the novels and the movie that’s maybe coming out at some point. The core game did something brilliant that’s now been replicated to death: it reinvented the “evil doll” horror archetype. And merged that concept with old memories of time spent in Chuck E. Cheese’s. The idea of a doll that only moves when you’re not looking is a long-standing one, yes (that’s why the moment when Foxy breaks the rule is so scary), but I wasn’t being hyperbolic when I said “reinvents.” Freddy’s animatronics are towering things, metallic and inhuman. You could argue someone could defeat a little porcelain doll. But Freddy could crack someone’s skull. And what makes them even worse is that FNAF attempts—in the first game anyway—to make the situation justified. 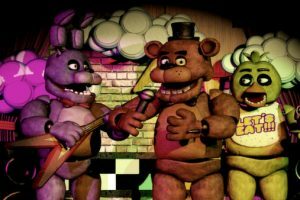 The animatronics roamed because they didn’t want to lock up their joints. When they notice a person who’s not in a suit at night, they assume that they are just in need of a costume change and stuff those people into springy meat-grinders. That’s not even technically malevolent. They just do what they are programmed to do. You can’t reason with these things. There’s nothing to reason with. And that’s viscerally terrifying. The game traps you in a chair, unable to move away. The sheer helplessness of the situation alone is like a protracted zombie invasion into a boarded-up building—only the player gets not a single gun. I’d dare call it the most terrifying game ever made. 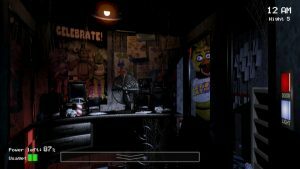 Not necessarily horrifying, but FNAF elicits sheer panic in even people passively watching gameplay. The mysteries and puzzles that later made the games a continuous conversation online is the reason the games held people’s attention and made as much money as they did. And Scott Cawthon deserves all the success he’s got from it. But, sometimes, I do miss the simplistic feel of that first one. 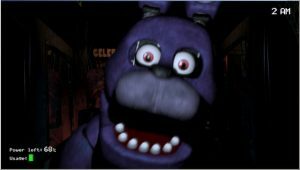 Only a few other pieces of media scared me quite as bad as the original Five Nights at Freddy’s. It was a trendsetter. A unique creation. And, as weird as this sounds, I’m glad I got to be tuned in when it first showed up online. I’m glad I got to be one of the first wave that nearly fell out of their chairs after discovering how scary it is to be leaped at by a robot bunny the size of a man.